Ellis County is in the heart of the Texas Blackland Prairie (named for its rich dark soil), which is a complex tallgrass prairie ecosystem. The soil was also ideally suited to crop agriculture that led to the development of small family farms and ranches which provided the foundation for the growth of the cotton industry and ultimately of the Ellis County and Dallas-Fort Worth area economy and communities. In association with the Ellis County Museum, Inc. a Board of Directors will oversee the organization and operation of the Ellis County Rural Heritage Farm Inc. The heritage farm will be an ongoing project to enhance public appreciation of and provide educational opportunities to students and learners of all ages about rural farm life. 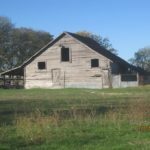 Interested parties can become members, contribute direct financial support, and/or volunteer for specific projects to assist with the operation of the heritage farm. 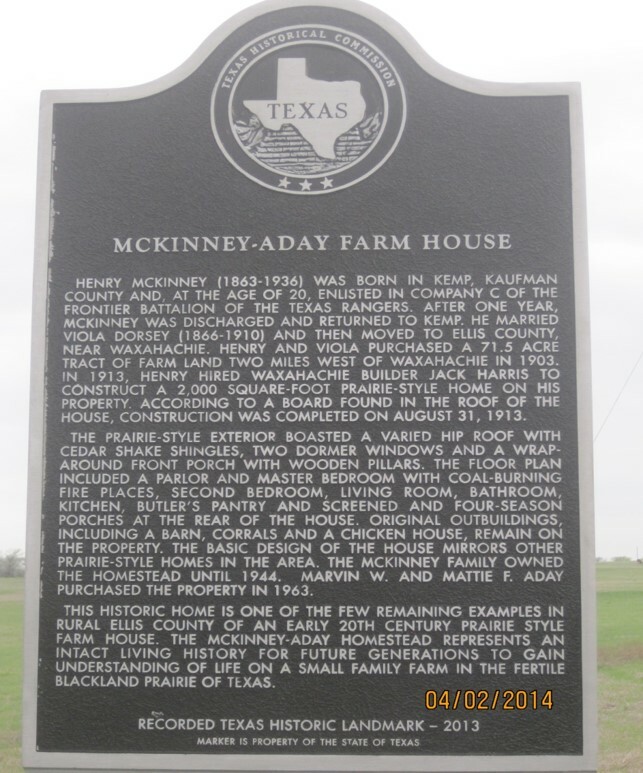 In 2013, the Texas Historical Commission designated the 1913 McKinney - Aday Farm House a Recorded Texas Historic Landmark. By using the links below, access to the image of the marker, dedication program, and historical genealogy of the house and its residents is provided. Want Even More History and Information? 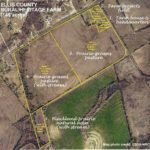 The link below is to a slide show presentation that gives a much more extensive history of and details about the future plans for the Ellis County Rural Heritage Farm Inc.
c/o Ellis County Museum, Inc.